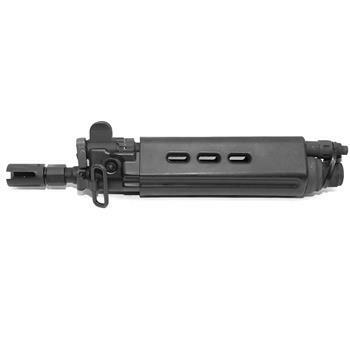 This DS Arms complete FAL front end assembly is desgined to give the end-user all of the components required from the face of the Upper Receiver forward. This front end assembly is the perfect choice for changing your existing front end assembly, changing to a different gas system length or building that receiver you have had waiting in the safe. The Assembly comes complete with barrel, gas block, flash hider, handguards, front sight components and all gas system components. 100% U.S. Made By DS Arms! Please Allow 2-3 weeks for assembly and shipment, these are built to order.